The Maroons Soccer Club, based in Ridgewood, NJ, is a competitive youth travel soccer program. We focus on a Player Development Pathway that allows players to advance toward their maximum potential. The Maroons Soccer Club is non-profit organization committed to developing soccer players in northern New Jersey, including Ridgewood, Glen Rock, Waldwick, Ho-Ho-Kus, Paramus, Fair Lawn, and other communities in Bergen County, NJ. The Club was founded in 1990 to meet the increasing demands of players wishing to succeed at a higher and more competitive soccer level. Today, the Maroons Soccer Club has development programs for children 4 years old through 18 years old; pre-kindergarten through senior year in high school and represents one of the largest and most successful soccer club programs in New Jersey. The Club currently has 45 soccer teams and more than 900 players from under 4 to under 19 age groups. We are a talent specific travel soccer club where players must tryout and be accepted into the program each year. The Maroons Soccer Club welcomes and supports talented out-of-town players to join our top teams. The Maroons Soccer Club players benefit from high-level professional instruction, competitive league & tournament play, US Club & State Cup tournaments for top teams, and a broad variety of supplemental programs to satisfy the most passionate soccer player. The Maroons Soccer Club players enjoy an inspiring learning experience that allows each player to advance toward their maximum potential while developing a life-long passion for soccer. Top teams in each age group play some of the best competition in the area. In the fall of 2012, 9 out of 10 “A/Grey” teams competed in Premier or A Flights, up from 2 out of 10 in 2006. Multiple teams competed in NJ State Cup, and joined state-wide elite leagues like MAPS and JAGS. Club launched Futsal, Brazilian-style indoor soccer to promote individual creativity and ball control, active since 2012. Juggling Elite created in 2011 to motivate and recognize player achievements in juggling progress. Mini Maroons under 7 year old development program and U7 Friday evening Father’s Day tournament active since 2010. KinderKicker program, a fun, developmental program for under 4 year old to under 6 year old players active since 2008. Program has had more than 1000 participants. Street-style Fall Free-Play Football Fridays active since 2010. Goal keeper functional training core to curriculum since 2006. U14 vs. RHS frosh match since 2008. Since 1996, Maroons has hosted a Father’s Day Tournament, an annual celebration of soccer held in Ridgewood. In 2012, the tournament was attended by 94 teams. 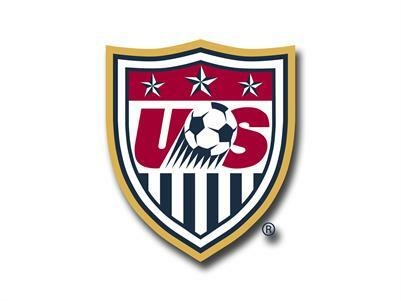 In 2013, the tournament includes full-sided U11-U12 teams. To learn more about Maroons Soccer Club please review the Maroons Soccer Club Philosophy, Maroons Soccer Club Mission, and Maroons Soccer Club Programs.